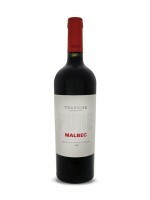 The name Pure Malbec alludes to the fact that unlike most Malbecs from Mendoza, this is made without any oak influence. The result is an honest red wine crowd-pleasing ripe fruit flavours and some expressive floral notes. A great match for red meat dishes, it’s flavourful enough to sip solo.